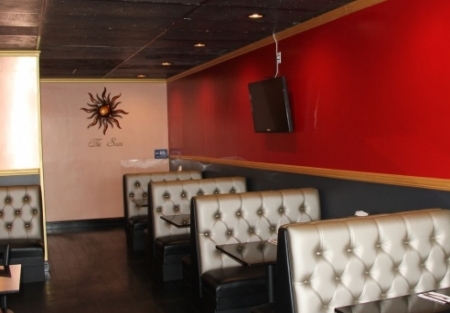 Newly remodeled Thai food location on extremely busy street in National City. Seller recently rebuilt the entire kitchen with all new equipment and redesigned the dining area with very nice modern theme. Avoid the months and months of waiting and continued new expenses associated with building out your own place. Seller has been through the numbing experience for you. All plans are approved, the work is done and the restaurant is open..
Now is the time to take advantage of this opportunity to buy this turnkey restaurant. Seller is from LA and owns another location in that city. Operational logistics force him to sell this location. He was depending on family to operate this restaurant and it is not working out as planned. His loss could be your gain. After opening up for business in May of 2015 seller states average monthly gross sales of 15k or approximately 180k for the rolling 12 month period. This center is very busy with huge traffic counts driving by it every day. Seller will be the first to tell you that this place could be doing substantially more in sales. The neighboring restaurants are full at lunch but this place is not reaching its potential due to the inconsistent operations. A steady working owner could have this place doing very well in a very short time. The community wants to support well run restaurants! Keep the current concept or bring your own landlord approved concept. The choice is yours. Current lease term expires in May of 2019 with a five year option available. Please go to www.sellingrestaurants.com to get the name and location.